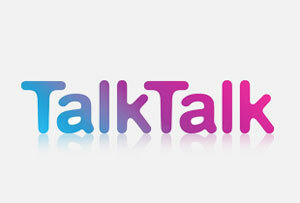 A councillor has hit out at TalkTalk for not repairing pavements after installing new cables to boost internet speed. Liberal Democrat Cllr Andrew Waller said that work to roll out an ultrafast internet service across York “should not be a choice between either having good streets or good broadband.” The comments come after TalkTalk failed to repair pavements after installing new cables to boost internet speed in York. Cllr Waller said: “It should not be a choice between either having good streets or good broadband – I am sure both are possible. Many residents have been in touch to voice their frustration at the work, and the length of time it has taken to put driveways, footpaths and verges right. “Local councillors have worked with TalkTalk from the start to ensure that residents were aware of the complaints procedures and we have pushed for a regular update to inform local residents on what is happening in their street. “A clear plan is needed to complete the job. However, a spokesman for TalkTalk said that they are working on repairing the road but it has been challenging due to the summer season. He said: “As part of our commitment to making York the UK’s first ultra fast, Ultra Fibre Optic city we’re working hard in collaboration with our construction partner and York City council to ensure there’s as little disruption as possible.